Fond of Aerated Drinks ???? Are you a regular consumer ??? You are prone to ill effects on teeth (teeth wear, cavities, unsightly appearance) affecting your beautiful Smile. 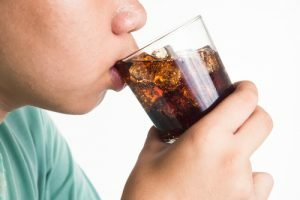 When you drink Soda, the sugars it contain interact with bacteria in your mouth to form acid. This acid attacks your teeth. 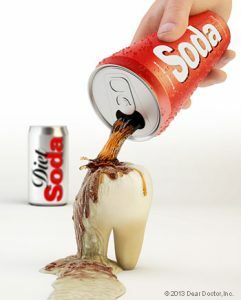 Even sugar free soda contains their own acids which can reduce the pH and attack the teeth. These acids soften the Enamel eroding the teeth. With each sip of soda, you are starting a damaging reaction that lasts for about 20 minutes. So if you sip all day, your teeth are under constant attack. 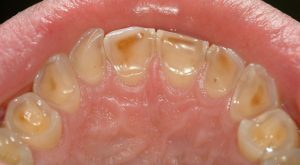 Aerated drinks can also affect the Dentin leading to cavitites and it can roughen and stain teeth fillings. 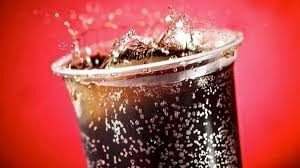 Apart from damaging the teeth, soft drinks also affects general health increasing the risk of high Blood Pressure, Diabetes, Bone weakening, Kidney problems, and many more. The obvious solution is to stop drinking soda. But many of us can’t seem to kick the habit. So, follow these to mitigate the harmful effects on teeth. Dont have more than one drink each day. Drink quickly- Longer it takes to drink, more the time it has to break down your teeth. Rinse your mouth with water after intake of soda. 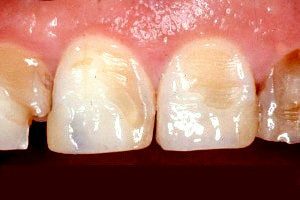 Wait for 30-60 minutes before you brush after drinking soda ,because the friction on teeth which is recently attacked is more vulnerable to harmful effects. Avoid having soda before bedtime as they have a long night to attack your teeth. You can substitute colas with fruit juices. For freshening up, instead of cola… sugar free chewing gums like orbit are also ideal alternatives. Finally, have a regular Dental checkup.